We’ve reached 100,000 pageviews folks! Woohoo! I started this blog when I was nine, and since then it's been an incredible journey for me. 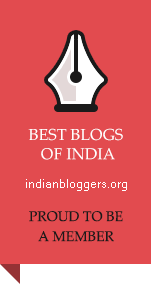 “My Diary” has been featured on an American school website as an example of blog writing, is a member of Best Indian Blogs and has been converted into a book by Uncle Gopichan, twice. A renowned artist, Uncle Venki, did fabulous illustrations just for me. My friends and family are an integral part of this blog, and I’ve received a lot of support and encouragement from the people around me. I feel it is time to revamp the blog. I’ve been thinking about changing the name to something a little more mature. For the past two years, school has been eating up my time, and my pace of blogging has really slowed down. I hope I can catch up soon with the updates. For now, this is Janaki, signing off.